Why wait for another New Years to roll around to set a goal and stick with it? Resolutions are hard enough to hit on their own. Winter’s dark days and cold weather strip even the most inspired individuals of motivation, making it nearly impossible to stick to your guns and see your goals through to the bitter end. The call of hibernation is too much when the mercury dips well below zero. The summer, on the other hand, is the perfect time to pick up a new hobby and commit yourself to a new routine. With the big bright sun shining in the sky, our bodies are naturally inclined to be more active, as increases in vitamin D and hormones like melatonin act like a biological triple shot of espresso for our brains. You can’t help but feel inspired as the days lengthen and the temperatures rise. Which is why now is the ideal time to finally pick up the guitar like you’ve promised yourself you would for years. With more hours in the day to devote to your responsibilities and hobbies – and more energy to boot – you won’t come home from work wondering where the day has gone; you’ll arrive home with three or four more hours of daylight left. You don’t need to set aside much of that for your summertime resolution. Forget about the 10,000 rule – a theory that an individual needs 10,000 hours of practice to become a master of their instruments. It’s outdated and frankly wrong. Recent studies have shown that it’s not the hours you log that matters but the quality of your practice. Think of it this way: if you spend several days watching instructional videos on how to learn a new skill, and you’re glued to your phone for the entire time, it doesn’t matter how many videos you watched. If you’re distracted enough, the lesson won’t stick. The same goes for learning an instrument. When you’re not fully engaged, the time spent behind the fret is almost wasted. It’s only through deliberate practice – a highly structured engagement with your guitar – that you’ll pick up the instrument quickly. Part of this structure can be created by setting up beginner guitar lessons at your local music store. In Canada music stores employ the top musical instructors who are experts in their instruments. By looking through the roster of Canada’s biggest music store, you can have your pick of guitar teachers, each of whom can provide you with a systemized approach to learning the instrument. When you book music lessons at Long & McQuade any teacher you choose can offer skillfully designed beginner practice strategies that will help you reach your goals. 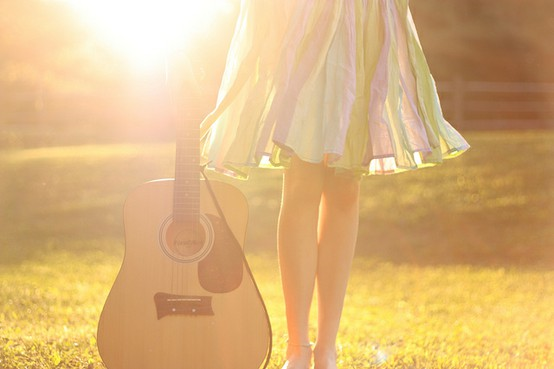 Whether your goal is to learn how to read sheet music, to learn the tabs of your favourite songs, or to get good enough in order to improv by the campfire, beginner guitar lessons will help youget there faster. When complemented with consistent, deliberate practice time, your ambitions will become reality in no time. So take advantage of summertime motivation and do something for yourself this season.